I’m not quite sure how I managed to pull it off, but I didn’t watch a single episode of The Sopranos until after the show’s final episode had aired. I think it was some sort of backlash against all the hype that surrounded the show when it took off. I know, I know, there’s really no good excuse but I’m in the midst of righting my wrong. I’ve been absolutely hooked on the show for weeks now and burned through all 5 and a half seasons that are available on dvd. And, since Heroes Lessons on Blogging went over so well I figured hey, why not right? Ok, look, I realize the word “blogging” was probably never uttered by any character during the entire 8 year run of the Sopranos, but that doesn’t mean HBO’s hit show didn’t dispense more than a few pearls of wisdom about the subject. So, here they are, The Sopranos Lessons on Blogging. Hard work gets you “made”. In the Sopranos and just about ever other mafia movie, being “made” is everything. You make more money, you’re protected, basically, you ARE somebody. In early seasons of the show, Christopher was impatiently waiting to be made. In the end, it was his hard work and loyalty to the family that earned him that position. Blogging is the same way. Just like New Jersey’s “waste disposal” industry, hard work and consistently producing results is what separates the “made” men from the dime a dozen bloggers. Very few of the top bloggers were instant A listers. Unless you’re already a celebrity, you should be prepared to have to work your way up the ladder. It likely won’t come when you want it, but if you keep your nose to the grindstone you’ll eventually experience the success you deserve. There’s always someone gunning for you. If there’s one thing Tony and his crew know how to do, it’s to convince people to see things their way. Now sure they tend to use lead pipes, baseball bats, and other implements of destruction, but the point is, when they confront someone, they put forth a pretty compelling argument. Obviously I’m not suggesting you start to run some sort of online protection racket but you definitely should be compelling. Present your opinions, take a stand, write convincingly, use examples, do whatever it takes to be remarkable in some fashion. Sure you won’t always make friends (as we discussed in the previous lesson) but if you’re not making an impression, you’re doomed to failure. Tony is both the most loved and hated character on the show. But no matter how people feel about him, they all pay attention when he makes a move. That kind of status is what you should be striving for as a blogger. Whether people love your blog or hate it doesn’t matter, as long as they keep coming back to it. This may seem like a contradiction, but in fact it goes hand in hand with the previous lesson. Anyone who’s watched the Sopranos for long will realize most of the characters spend a LOT of time worrying about and/or protecting their reputations. After Tony gets out of the hospital he’s worried that people think he’s gone soft. So what’s he do? He beats the ever living crap out of his bodyguard who hadn’t done anything wrong. When Vito finally gets outed as being gay, his brother-in-law Phil ends up whackin him for bringing shame on the family. I could go on and on but I think you get the point. While I’m not suggesting you attack anyone, your reputation is all you have when blogging. The online world is fairly anonymous. Anyone can claim to have done anything and make it fairly convincing. Naturally, readers have become very skeptical. It’s no coincidence that Darren Rowse, Shoemoney, and John Chow are some of the top bloggers in this industry. They’ve proven that they can make money online and they’ve built their reputation on that fact. If it were shown that in fact one of these bloggers was flat broke and had never made a dime on the web, their credibility would be shot and they’d lose their readers at an amazing pace. In blogging your reputation is every thing. You work tirelessly to build it up, and yet one mistake or action could bring it crashing down. You should keep this fact in mind with every sentence you type and every interaction you have with someone. The lesson is simple; protect your reputation. Be prepared to do time. Throughout the Sopranos we watch as wise guys get pinched for one offense or another. Time and time again we see them decide to become rats to save their own skin. When contrasted to some of the other characters that openly brag about the amount of time they spent in jail because “They never said a word” this lesson becomes quite clear: if you’re going to do the crime, be prepared to do the time. In the case of blogging, the “crimes” are hardly ever actual crimes. But whether it’s trying to game Google, trying to artificially inflate your Technorati or Alexa rankings, or using someone else’s content, chances are there will be repercussions for your site and/or your reputation. I’m not necessarily saying don’t do these things, but if you do them, you’d better be prepared to do the time. Know what you’ll do if or when Google bans you. Know how it will affect your site if Technorati refuses to list you in their rankings. For all the criticism I’ve leveled at John Chow, this is one area he’s usually quite good at. While he certainly complains about Google dropping his site into obscurity for even the most specific searches, he also has enough other traffic to live without the visitors Google could deliver. If your site or worse yet, your lively hood, depends on Google, you’d better be careful not to piss them off (and then work on becoming less dependent on one source of traffic or income but that’s another lesson for another post). Part of what made The Sopranos great is that every single character had one or more flaws that they continually fought against. As a viewer we’d see most of the slip ups and disasters coming a mile away but none of them were more obvious than Christopher’s decent into drug addiction. At first it started out with a little snort here and there but before long he was spending more time getting his fix than he was actually working. He became distracted and if he had been anyone other than Tony’s heir to the throne, it would have cost him his life. Obviously blogging is far less dramatic and I haven’t heard of anyone yet losing their life over blogging. However, the life of your blog is definitely at risk if you can’t avoid the distractions. As I said earlier, blogging is often times a grind and about pure determination and if you’re head isn’t in the game, it’s going to show in your content. This lesson doesn’t only apply to how you write, but what you write as well. If you’re constantly taking your blog off topic and find yourself writing less and less about your niche, readers will abandon your blog and it will die a slow death that anyone watching will have seen coming from a mile away. 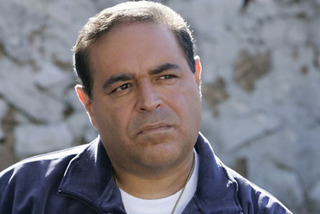 In just about any mafia movie or show you’ll always hear about “the family” and the Sopranos was no different. Part of what made the show so unique though was that we actually saw the interactions between Tony and his actual family. Viewers watched as his marriage struggled along, as his children grew up, and all the crazy interactions with his extended family. 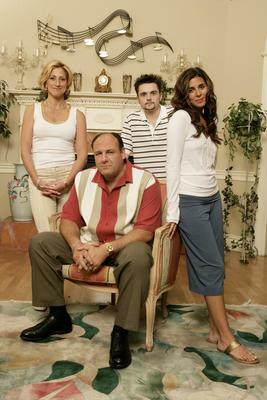 In many ways, the show was about Tony and his family more than it was a show about the mafia. Countless times Tony reinforced the emphasis on family by saying or sometimes screaming that everything he did, he did for Carmella and the kids. As previously mentioned, blogging is a lot of hard work. It’s really easy to get wrapped up in the tasks and day to day activities. It’s easy to forget to take a day off every now and then or make sure you spend time with your family. What I’m trying to say is that it’s often easy to lose sight of your priorities and that almost always leads to becoming burned out. Darren has written on ProBlogger several times about setting boundaries and making sure he spends time with his family. Since blogging isn’t my full time job, I often struggle with balancing time off with time off work that I spend working on the blog. My wife is pretty good at reminding me most times but this is definitely one lesson I’m still learning. Whatever your priorities are, whether it’s your family, friends, or whatever, the point is to make sure you keep your blogging in the proper place in line. So, there you have it, The Sopranos Lessons on Blogging. Like I said, I’m sure blogging wasn’t what the show’s creators had in mind but I think they all apply. With such a successful show I’m sure there are plenty of others. Feel free to share any lessons I might have missed in the comments below! This post is awesome! Right on the money yet hilarious! Nice work Ben…but who is the Tony of the blogging world? Oooh now there’s a great post idea right there. I’d have to think about that one for a while. Thanks for the great comment Casie! That was a great show. I just didn’t like the long spans between seasons. The best one is “Protect your reputation” with a picture of Vito.. ha ha ha. To funny. Another great post Ben. Yeah, Andy, I’m still waiting for the rest of the seasons to come out on DVD. Right now I’m stuck in the middle of season 6 and if you watched the show you know that’s a pretty piss poor spot to be stuck in. I’m hoping I can catch the rest of the episodes on A&E with my DVR but we’ll see. I’ve actually never watched the Supranos, but I thought it was a great way to illustrate these points. Blogging is definitely not an easy thing to do. It takes lots of hard work, time, and dedication. It’s really easy to loose your motivation, and let things go, but when that happens, the readers will definitely look elsewhere for good content. Also, family is definitely a big one. Building relationships is a big part of becoming successful online. Without the help of friends that I’ve made over the past few years (including Ben), I would definitely not be anywhere near the level of online income that I am now. Sorry mate, nothing to do with the detail on the post, but I have to say … love Meadow! Ben another great tie in. Unfortunately for myself I have never watched the Sopranos, if at all I maybe seen ten minutes of one episode, I am to cheap to subscribe to HBO so I never got into the show. I maybe to far gone to watch it now, so leave me and go save yourself. This maybe a little off topic but another great show to watch is the Shield on FX. I started watching it around season three (luckily before that season FX re-ran the first two season so I was up to date) and from what I understand it has the same kind of family dynamic as the Sopranos. As Jeff Cannata says over at the Totally Rad Show, the Shield it is the best show ever. Like I said maybe off topic but I thought it might be of some use.